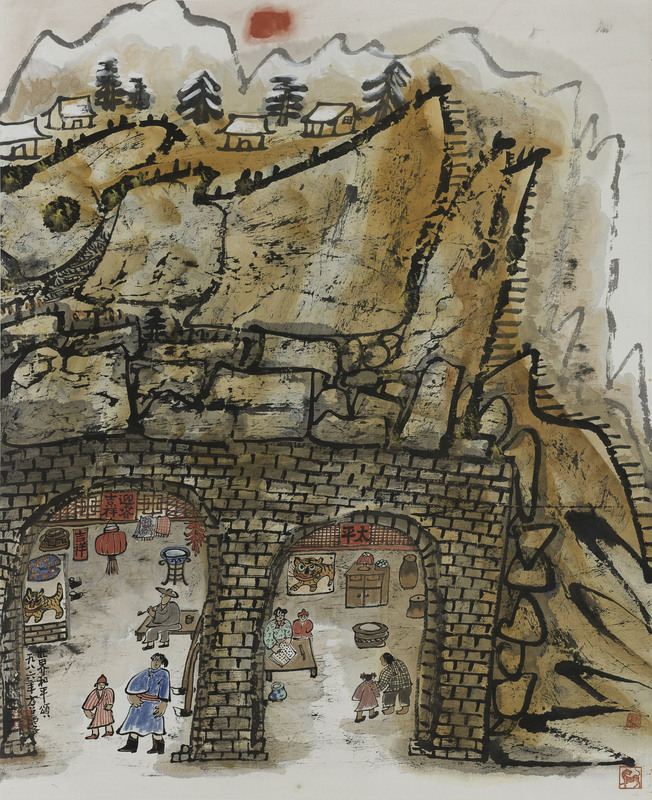 At first glance, some of the inks on display at Painting Her Way: The Ink Art of Fang Zhaoling, which opened last week at the Asia Society’s Chantal Miller Gallery, look as though they could have been painted in 2017. 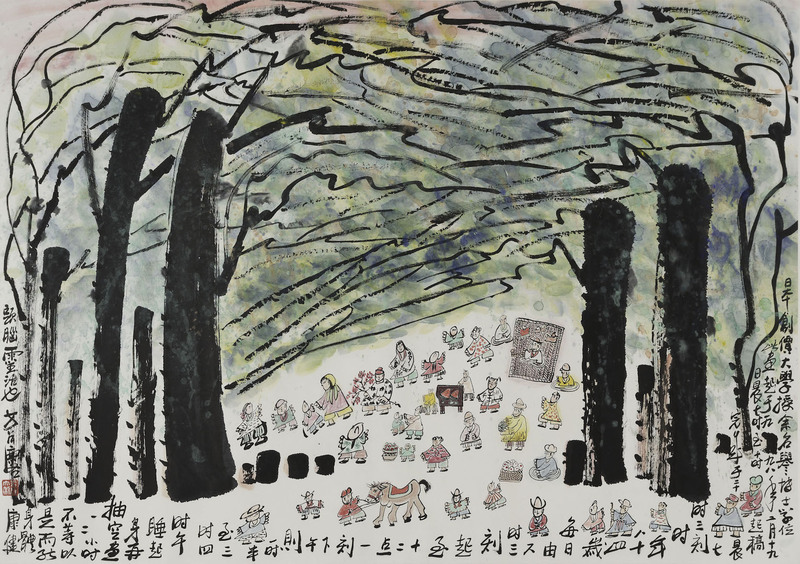 Yet, Enjoyment Under Trees, with its sketchy black branches over a field of dappled green, blue and red wash representing a canopy over caricature-like figures, was completed in 1998. 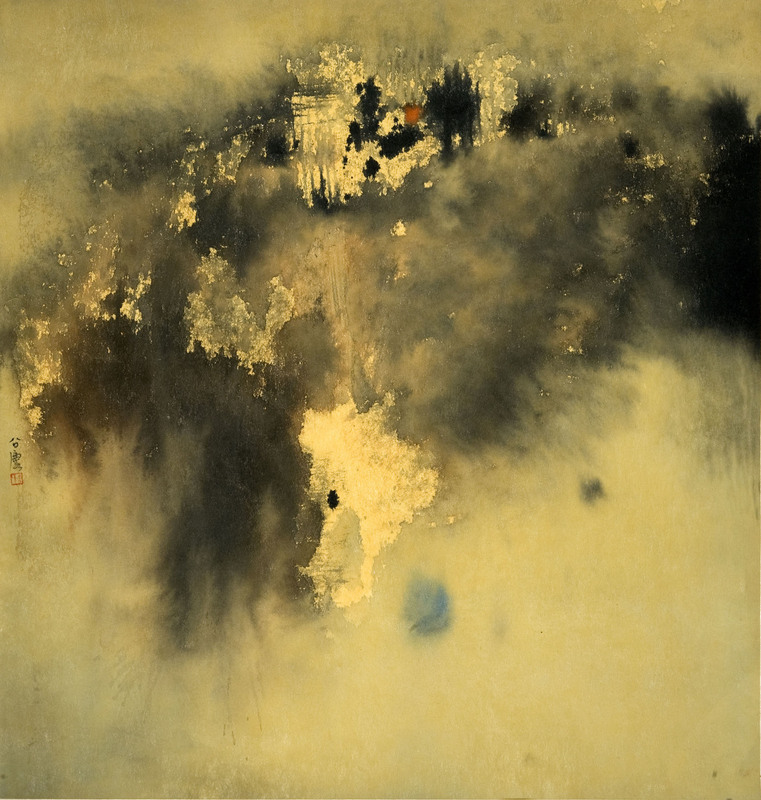 And Castles in the Air, an ephemeral abstract piece awash with gold and black, was painted in 1962. The late Fang Zhaoling (1914-2006), who spent most of her life in Hong Kong, certainly displayed a worldly contemporary touch in her paintings. “She was one of the most original artists of her era,” says Julia F Andrews, a professor at the Department of History of Art at The Ohio State University who specialises in 20th-century Chinese art, and one of two guest curators who helped assemble this retrospective. Fang’s development as a visual artist was at first very much rooted in tradition, though. Growing up in Wuxi, Jiangsu province, by the age of 17 she was an accomplished and well-thought-of calligrapher. Of the 48 works on show, four are calligraphy-only, and show the progression of her style through decades of practise. It was in her late thirties that Fang developed an interest in pictorial forms. 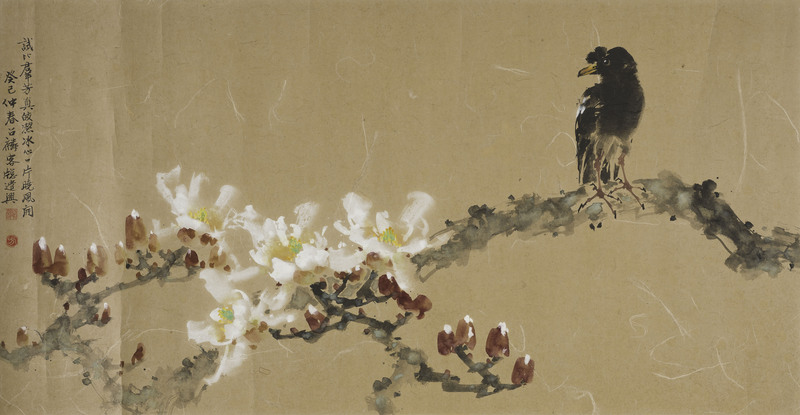 Having moved to Hong Kong, despite being the mother of eight children and becoming widowed at 36, she studied under Zhao Sho’ang – founder of the Lingnan art movement (which incorporated Western influences into the traditional Chinese painting skill set). Two Fang paintings from the 1950s in the in the first of four galleries are from this earliest period. 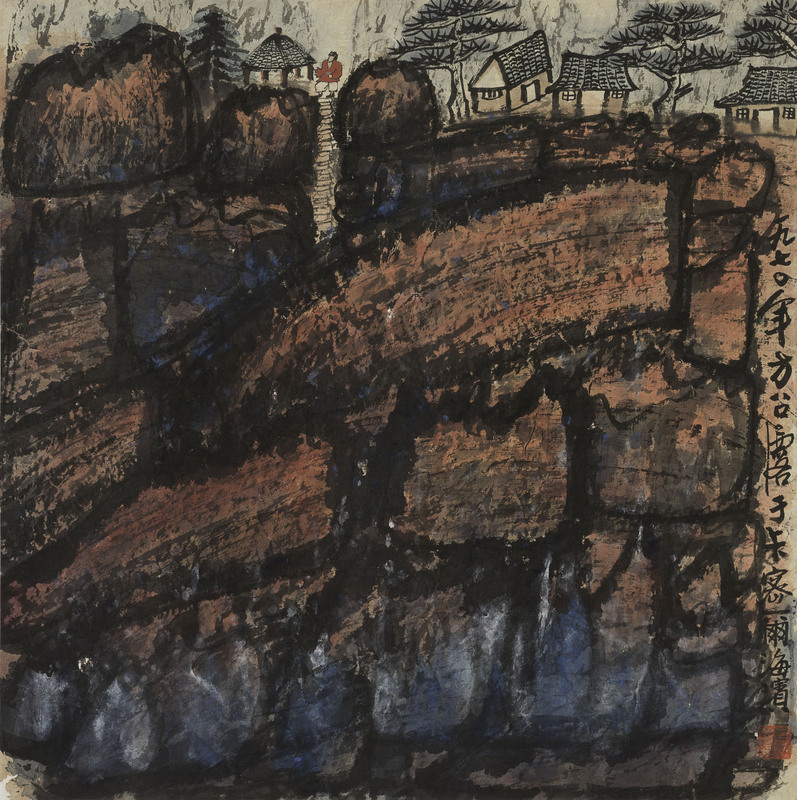 The exhibition goes on to show progressions in scholarly copies of modern ink masters, such as the peasant figures and landscapes of Qi Baishi, and touches briefly on her interest in American abstract expressionism in the 1960s, which she became exposed to when joining two of her children as they began university studies in the US. The 1970s was a period of experimentation in technique. Spending a year in Carmel, California, she studied with renowned Chinese painter Zhang Daqian, who had a studio there. During this period she exaggerated the epic scale of landscapes in her work, while making the proportions of human figures and their dwellings tiny. As Fang’s pieces became more and more monumental, she embellished them with textured marks printed on mountain rock surfaces by scrunching paper into balls and dabbing them in ink, a technique that became her signature style through the 1980s. The last gallery, though quite small, shows Fang’s most vibrantly coloured and freeform compositions of the 1990s. In one painting, Coloured Figures with Horses, 1996, she uses some of her ink seals to stamp patterns onto the clothing of those attending an equine carnival. Besides the paintings, a showcase of artefacts includes personal memorabilia, including photos of Fang from when she was nine years old through times with her family and mentors, as well as the Bauhinia Star she was awarded in 2003 – for her contributions to Chinese painting and calligraphy. This is an inspiring exhibition of the works and life of a prolific painter, who – for those unaware – was also the mother of Anson Chan, former Chief Secretary (1993-2001) in our government, now leader of political group Hong Kong 2020.